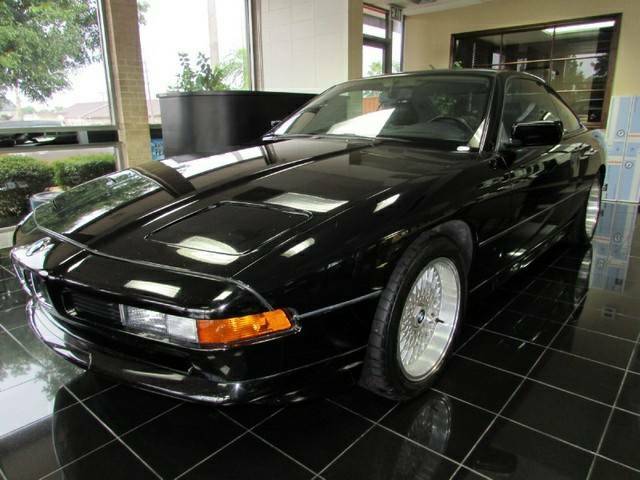 The BMW 8-series was only introduced and sold for one single generation --which is odd given the current proliferation of the BMW model ranges. The old 6-series is back and can be had as a 4-door, there is even something called a 4-series, but why haven't they brought back the old 8? Probably because they can't figure out how to top the OG E31 version. 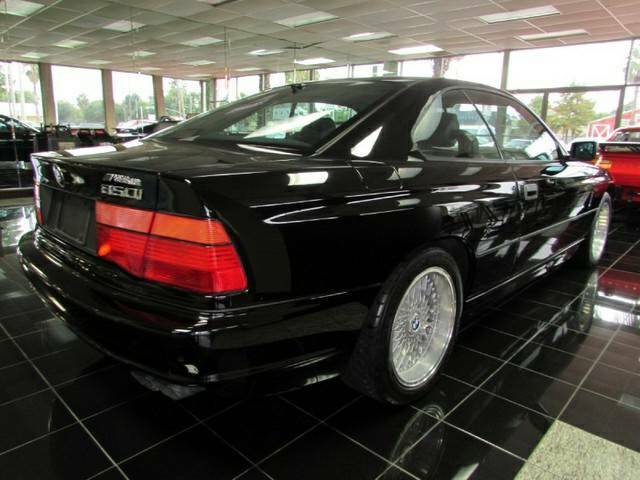 Find this 1991 BMW 850i offered for $13,900 from a small dealer near Houston, TX. Tip from Jeff. 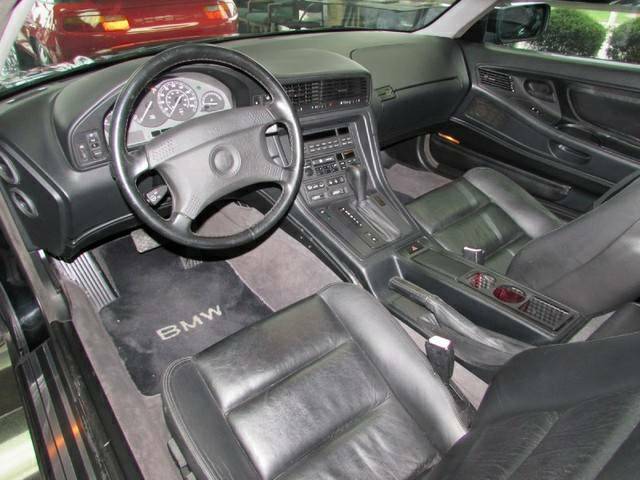 The BMW e31 platform was launched in 1989 as a high end successor to the e21 6-series, but for the price of a few options on a brand new BMW you can own a used V12 equipped 850i. The M50B70 5 liter V12 originally produced 295 horsepower and 330 ft-lbs of torque and is mated to a 5-spd automatic transmission (some cars were equipped with a 6 spd manual!). The V12 was a technological tour-de-force in 1989, using an "alusil" engine block and drive by wire throttles controlled by twin ECUs. Pop-up headlights surround the 'shark-nose' front end on the BMW - a menacing sight in your rear view mirror - or a common sight at BMW mechanics shops...850s are not particularly know for reliability...unless you compare them to similar era V12 Jaguars or Maseratis, in which case they are fantastic! The 850 has the reputation of a high maintenance girlfriend. But I think I'd like to take a chance at ownership just to admire those gorgeous body lines and a front end that looks at least twice as fast as the average Beemer. Pretty damn slick. I would trade out the steering wheel for a alcantara covered sport wheel and cut off or replace the mufflers letting the V12 scream. Reason #76 Why This Is Better Than Any Current BMW: it has exactly one v12 badge, and it on the godd**n engine. Why do you hate amplitude modulation, doctordel? And yes, BMW continues its slide into Pontiac-esque-ness. 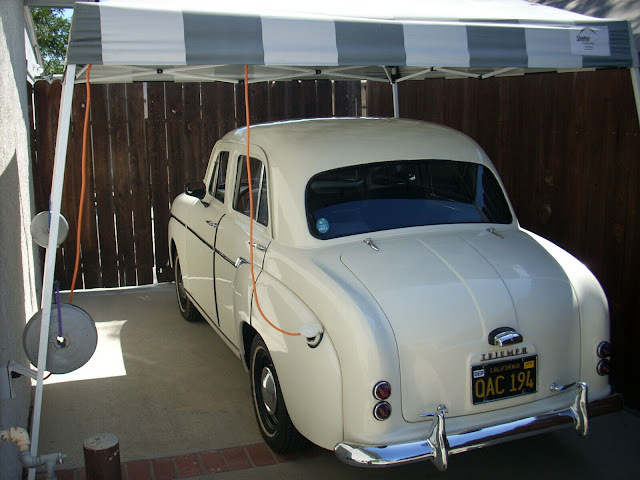 "Most vehicles we sell are eligible for a 3 year/36k mile warranty." I wonder if this is included in the "most". That might take the edge off the reliability issues. In my list of "things I want to do that are impossible": Drive one of these, exactly like this - black on black with V12 - around old East Germany in 1990, just after the wall has fallen.